WhatsApp has recently submitted a new update through the Google Play Beta Program, bringing the version up to 2.19.80. The Forwarding Info and Frequently Forwarded features are not available yet. WhatsApp is working on these feature in this update in order to ensure the best bug-free experience for you before to enable them for everyone. For this reason, it’s ok if you have updated your WhatsApp version and they are not working for you seen that those features are under development. 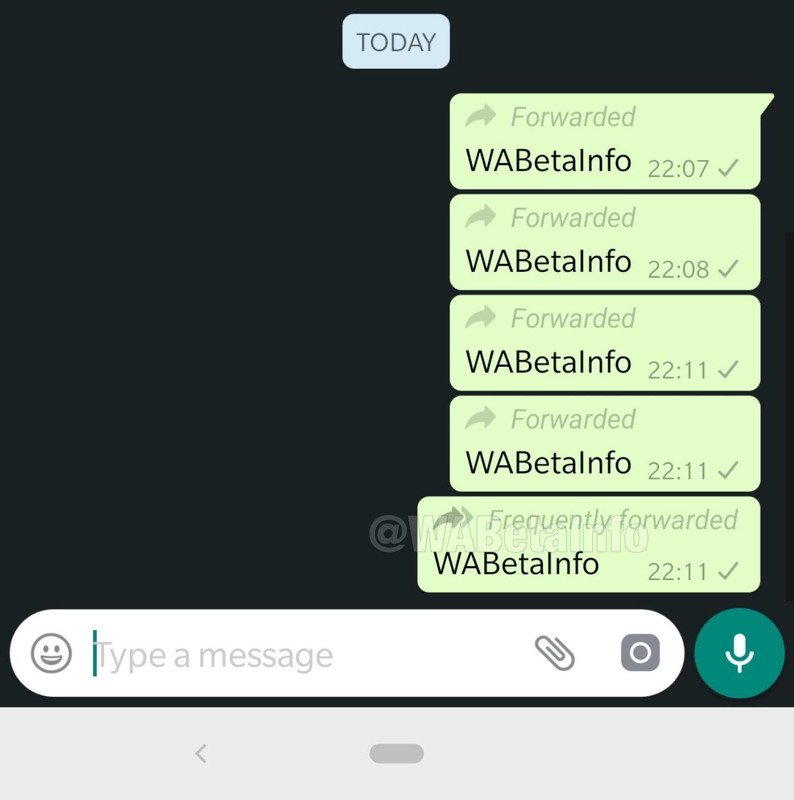 In the 2.19.80 beta update, WhatsApp has started to work on a new feature that will allow (when enabled) to get more info about a message. Using this feature (that is not available yet), the user will know how many times a message has been forwarded. Note that this information is available for sent messages only, because the user can navigate into Message Info only for messages he sent. If you are curious to know how many times a received message has been forwarded, you can forward it and check out the count in Message Info. The feature will be rolled out in the next beta updates for everyone. A message is frequently forwarded when it has been forwarded more than 4 times. WhatsApp added this feature to help the user to understand when a message is very “popular” on WhatsApp: if it has been forwarded too many times, it might contain incorrect or spam information. The Forwarding Info feature does not seem available when a message is set as frequently forwarded, so when it has been forwarded 5 times or more. We do not know yet when WhatsApp is going to enable these two features, but we will inform you when they are ready to roll out them. 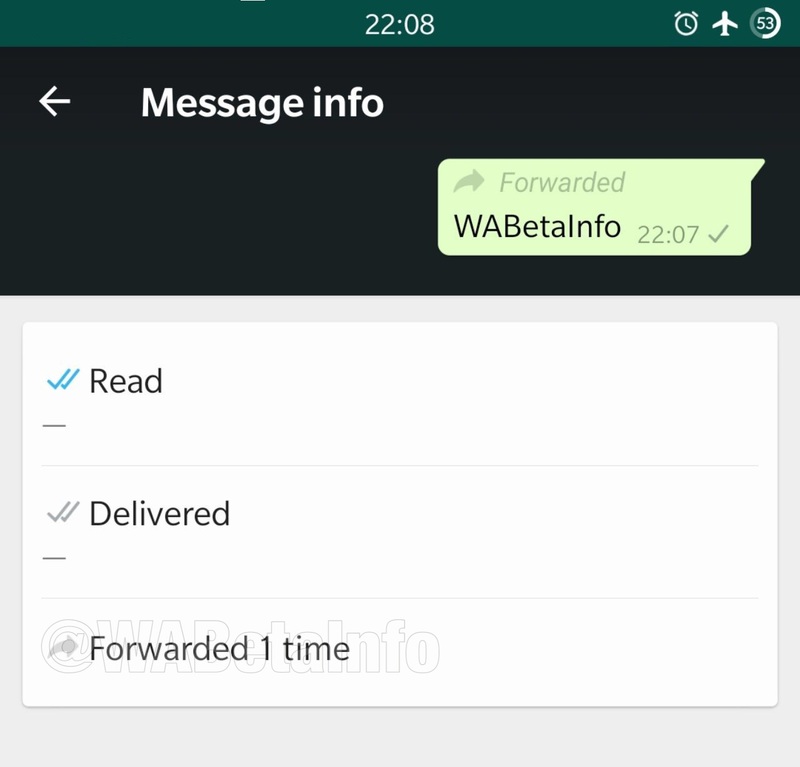 Previous PostPrevious WhatsApp beta for Android 2.19.74: what’s new? Next PostNext WhatsApp is rolling out the Short Link feature!